The people of Comoros, Cameroon and Madagascar haven't got much faith in the honesty and integrity of the public sector, according to Transparency International's annual Corruption Perceptions Index  (CPI). The report measures perceived levels of public sector corruption and “serves as a reminder that the abuse of power, secret dealings and bribery continue to ravage societies around the world,” as stated on their website . On a scale going from 0 (highly corrupt) to 100 (very clean), more than two-thirds of the indexed countries scored less than 50. Comoros and Madagascar tied for 127th of 177 countries, with scores of 28. Cameroon fared worse, coming in at 144th with a score of 25. Let's take a closer look at the state of affairs in these three French-speaking African countries. Comoros is ranked 127th out of 177 countries with a score of 28 points. The archipelago gained six places compared to the 2012 ranking. The installation of the National Commission for the Prevention and Fight Against Corruption (Cnplc) by President Ikililou Dhoinine has laid the foundation for the fight against corruption. The head of state has proven his commitment to transparency in public affairs by signing the application decree establishing the Regulatory Authority for Public Procurement (ARMP). 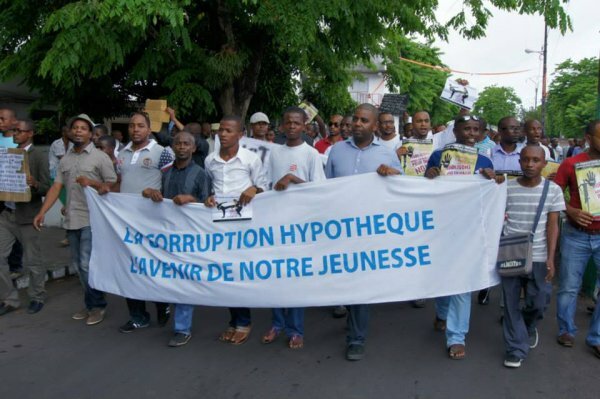 The justice system of Comoros is regularly singled out, accused of laxity in cracking down on acts of corruption. The establishment of the Anti-Corruption Commission and the Supervisory Body for the Approval of Government Procurement  should be noted (as measures against corruption). The Franco-Comorian lawyer Mr. Ben Ali Ahmed recently indicated some failures in the fight against corruption by saying that the previous corrupt actions (in the government) has not changed one iota. Additionally, some practices in public administrations are unworthy of our Islamic faith and many public servants have shown no accountability towards the citizens they serve. As such, we citizens, the lifeblood of the nation, are often disappointed with the impunity granted to certain authorities in power. The high level of corruption in Cameroon remains a great source of concern. Despite international pressure and many plans and laws against corruption dreamed up throughout the past decade, the practice remains a constant in the daily lives of Cameroonians. Reportedly, over 50 percent of Cameroonian households have paid at least one bribe  [fr]. According to Samuel Ekoum, president of the Cameroonian NGO SOS Corruption, the state of Cameroon loses on average 400 billion CFA francs (about 832 million US dollars) per year because of corruption. Dynamique Citoyenne, a network of independent entities monitoring public policies, claims that dignitaries including President of the Republic Paul Biya comply to the order of the law by declaring their assets. Non-compliance with these provisions are a few of the factors that promote the embezzlement of public funds and corruption in Cameroon. 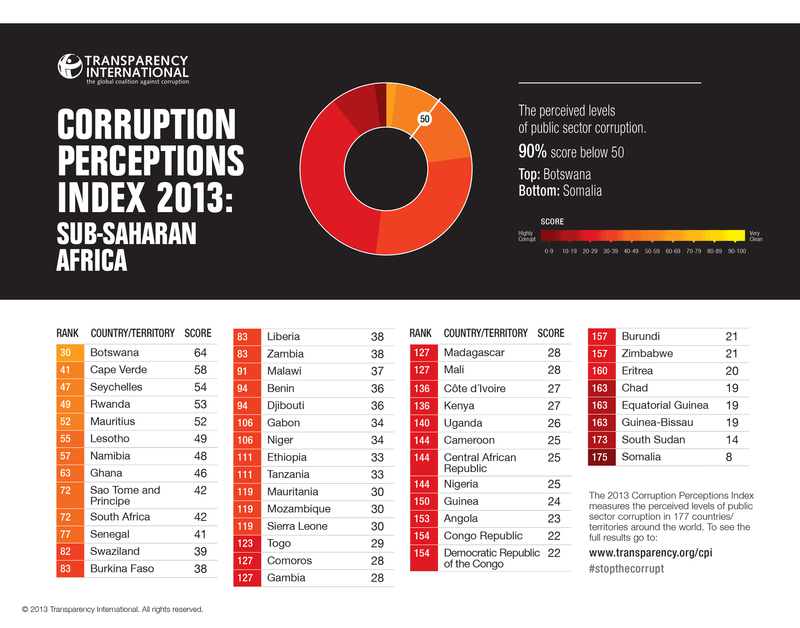 The 2013 Corruption Perceptions Index released on December 3 ranks Cameroon in 144th place. Cameroon's inability to conform to a democratic process and effectively implement mechanisms to fight corruption fully justify the attribution of the low score of 25/100 on the index. Among the most corrupt sectors in Madagascar, we can cite the armed forces, the regional and local authorities, justice, land service and education. 58 percent of respondents believe that the level of corruption has increased over the past two years and the legal sector is seen as the most corrupt government agency. 32 percent of the surveyed population reported having paid a bribe to speed up the process of a public service because it was the only way to do so, while 54 percent reported that government actions to combat corruption are ineffective.